Pros: More, and yet the same. -A PROPER ending. This is the kind of ending that all anime should be envious of. Every relevant plot is resolved, but the story is left clear roads to continue expanding, we're given a taste of the seeds of the new plot lines, and most importantly, it feels satisfying. That's the part so many anime fail on while trying to 'cliff-hang' room for a new season. They make it so that the season we have is completely unsatisfying on its own. If Log Horizon 3 never comes? These two seasons will still be good on their own. My Opinion: Welcome back to Log Horizon! No really. 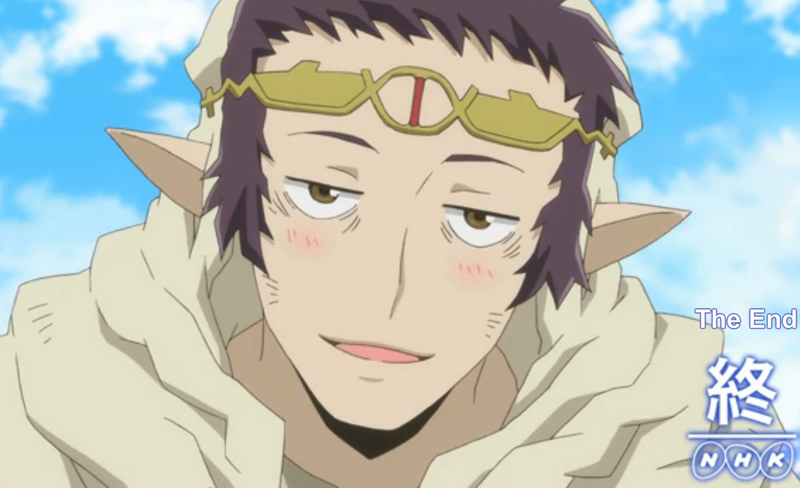 I loved Log Horizon, and the sequel did nothing to change my opinion about it. Which is a plus, because sooo many anime tend to have either one of the sequel outshining the first season, or making it look horrible in retrospect because you see what kind of a burning wreck it's going to crash into. Impartial Judgement: This is Log Horizon, continued. It does bare mentioning however, that I came across more than a few opinions that the first season's action was underwhelming. Those opinions were mixed on it being because there was too little, or because it wasn't satisfying when it was there. The second season seems to have taken those opinions to heart, because it ramps the action up like there's no tomorrow. For once? I'm fine with that. They didn't skimp on the story or plot to pay for the increased action, and the lore is being woven in just as deeply as before, so it's all squared in my book. Additionally, Shiroe isn't the gravitational center of the majority of the story for once. Several other characters are given their own time to stand strongly in the spotlight. Emphasis on strongly, not any of this quick shuffling of people into and out of the spotlight like some shows fail at doing. Long story short? If you liked Log Horizon 1, you'll like this. If you didn't like Log Horizon 1? You may like this if the reason was lack of action...but you'll still have to have watched all of Season 1.